Percentage Symbol Finance PowerPoint Templates And PowerPoint Themes 0912-"Microsoft Powerpoint Templates and Background with house model with percent sign"-"House model with percent sign, real estate, finance, business, signs" Decide your own fate with our Percentage Symbol Finance PowerPoint Templates And PowerPoint Themes 0912. Create your destiny with your thoughts. Whatever the facet you have in mind? 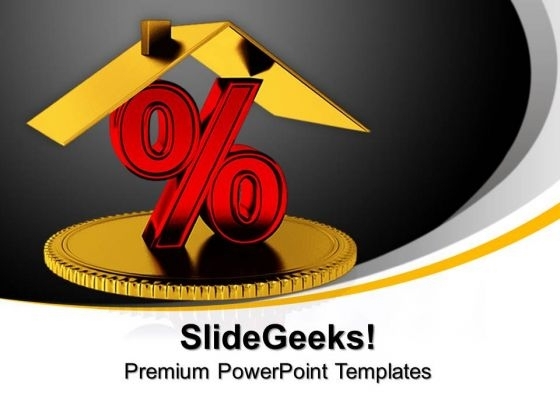 You will find it covered by our Percentage Symbol Finance PowerPoint Templates And PowerPoint Themes 0912.